Previous Video Real Life Real Estate - How are you spending your 168? In marketing, it’s important to know what you’re selling. This is even more important when marketing your real estate business online, since you want prospective clients to find you, to choose you from among all the possible competitors. For this reason, this first video in the Tech Tuesdays KISSRE series addresses the issue of branding. 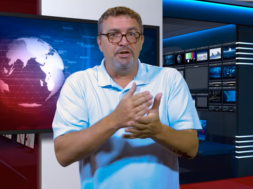 Internet marketing guru Eric Bryant, better known as The RE Coach, guides you through the necessary thinking, and gives you a simple framework you can use to develop your brand. It doesn’t get much easier than this, and if you watch this video and spend a little time thinking, you’ll be prepared to start setting up your new and improved online presence with next week’s video. Keep watching! What’s up, people? 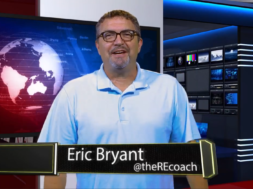 It’s The RE Coach, and this is Tech Tuesday on ReboReports. What’s up, people? 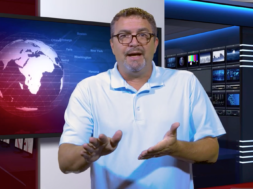 It’s The RE Coach, and this is Tech Tuesday on ReboReports. Today is Video #1 in that series we spoke about earlier, KISSRE. Keep it Simple, Stupid. Now, if you get involved in this, and you follow along, and you go through all of the videos, I sincerely believe, by the end, you’re really going to have a better grasp of how to take your business and put it on the internet, and that’s my goal. I want you to get there. I want you to be found in the search engines. I want you to have success marketing your product on the internet. That’s why we keep it so simple and basic. Number one problem, or the number one issue on internet marketing is branding. People think of brands, they think of Coca-Cola, and they think of Pepsi, and they think of MGM, and all these different things. Those are great if people know them. And in the old days, when you were a real estate agent, you branded yourself, right? “It’s Eric Bryant, #1 Listing Agent in Market ABC. You want me! I’ve got 20 years experience!” It worked great for the neighborhood, but the neighborhood we’re talking about right now is the internet. There’s billions of people who have no idea who you are, but you know what they do know? They’ve searched for their house, they’re pretty sure of where they want to have it, and most of them, believe it or not, as of today, are right down to the community. They know exactly where they want to live. They know how many homes are for sale there, what they look like, they’ve seen pictures, videos, they’ve seen testimonials for all those houses. What they don’t know are the particulars of the neighborhood, and that’s where you need to become the local expert. So let’s think real quick. What would somebody type into a search engine to find a home in a neighborhood? They’re going to use of one of three things. They’re going to use the industry, words like “real estate,” “Realtor,” “realty,” “home,” “house,” things like that. They’re going to use geography. Makes sense. They can use a state, “California,” they’re going to use “Southern California,” maybe get it down to “Long Beach” or even the craziness of Long Beach, 53 different communities, they’re going to say “Belmont Shore.” Those are words that they’re going to search for. And they may search for a specialty. So you’ve got industry, geography, specialty. What’s a specialty? Short sales, foreclosures, investments, things like that. So your brand has to include minimum of one of those, two is good, three is amazing. So if I were selling homes in the Long Beach community of Belmont Shore, my brand is not Eric Bryant, Realtor. It’s probably something like “Homes for Sale in Belmont Shore.” You understand what I’m saying? It has to match as closely as possible what the person is typing into the search engine to find that information. What is a search engine? It’s a question answering machine. Let’s answer the questions that they’re asking. Step away from the egos for a little bit, and step into reality. Answer the questions that they are asking. If we’re to assume that people are looking for homes in the market, then what are we after? Buyers, right? But also this works for sellers. 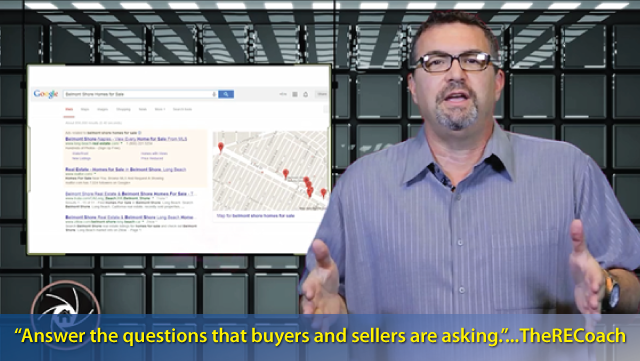 Sellers want to know what’s going on in their marketplace, so they type similar words into the search engines. So let’s start with working within those three parameters. We’re going to step into the next series on the video, and it’s going to have to do with branded contact information. So again, if you haven’t seen this video, the next one might be a little bit weird for you. Branding. Think about where it is you want to do what you want to do. Add it to the community, add it to the industry, add it to the specialty. Let’s see if you can make up a great brand for your real estate. And if you need help, get ahold of The Coach. TheRECoach@gmail.com. Call me, (562)646-6710. Get ahold of me, let us help you. And by the way, if you’re a broker or an office manager and you’d like me to speak at one of your office meetings or do a training, please get ahold of me, I’d be more than happy to do it. We’re here for you. Next video, #2 in the series, Branded Contact Information, or what I like to call “Don’t muck it up.” I’ll see you on the next video. previous Real Life Real Estate - How are you spending your 168? Great info for those of us who want to brand online! Finally, some REAL info!